The Massachusetts Continuing Legal Education, Inc. (MCLE) has announced the creation of the Lubin & Meyer, PC Scholarship Fund. MCLE thanks Lubin & Meyer, PC, and all of its members, for its generous leadership gift, which has helped complete the first phase of its Campaign for Endowed Scholarships by reaching the initial $2.5 million milestone. Scholarships from the Lubin & Meyer, PC Scholarship Fund will help train public service lawyers who advocate for and represent Massachusetts' poorest communities, specifically legal aid staff attorneys, private practitioners who accept pro bono cases, and other deserving lawyers who, without financial assistance, would not be able attend MCLE programs. 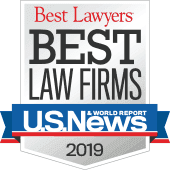 Founded in 1974, Lubin & Meyer is recognized nationally as one of the leading medical malpractice and catastrophic personal injury law firms in the country. In addition to achieving some of the largest personal injury verdicts in state history, the firm's renowned commitment to quality and excellence goes beyond the representation of its clients in and outside the courtroom and to the broader legal community as well. As top experts in their field acknowledged for their creative and innovative approach to cases, members of Lubin & Meyer regularly volunteer as chairs and faculty on MCLE and other programs to train and educate lawyers on trial techniques and developments in medical malpractice and personal injury law. MCLE commends Lubin & Meyer, PC, for establishing this fund.